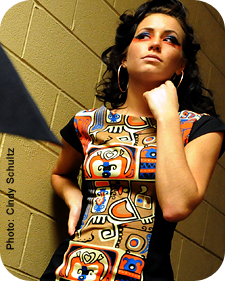 Electric City Couture started as an annual part of the Schenectady Art Night initiative. It was originally based out of the Black Box Theater at Proctors. After a couple of successful and well supported years, ECC expanded and took the show on the road as a regional organization. Today, ECC is continuing to find ways to promote fashion in new ways and at new and unconventional venues throughout New York State. As such, Electric City Couture has a strong interest in partnering with mission oriented organizations that are part of the creative economy, specifically ones that build awareness in historic assets in our regional community. The event focuses on showcasing Signature Collections from Regional Fashion Designers. It is also a showcase for aspiring and professional Models, Jewelry and Accessory Designers and Hair and Makeup professionals. To create a sustainable, fabulous scene that raises awareness for the art of fashion and fashion related support industries, specifically regionally produced design and services that can help stimulate regional economic development through the fashion based creative economy. COREY ALDRICH | Corey is the shows CREATIVE DIRECTOR and PRODUCER. His company, 2440 Design Studio, is a brand design company focused on brand design / management and marketing approach. Current projects include market planning, 3rd party project team oversight and major event design and promotions in the Arts, Fashion and Business arena. 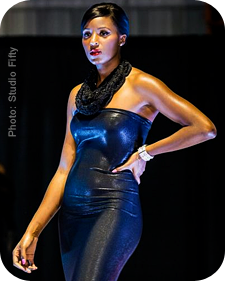 Current clients include public and private businesses, fashion, and arts related organizations and institutions. ANNIE DELANO | Annie is the shows CASTING DIRECTOR. Annie is a freelance Casting Director and Producer who has several years experience working in fashion, broadcast, and corporate markets. Annies credits include working with commercial photographers such as Mark McCarty, Randall Perry and Gary Gold and such diverse clients as AMS Modeling Agency, Albany Talent, Coca Cola, Fingerpaint Marketing and the Saratoga Casino and Raceway. Annie joined the ECC team starting with the 2015 season. GINA BATTOGLIA | Gina is part of the DESIGNER SUPPORT SERVICES team. Gina's main focus will be as a liason to show designers and new designer discovery. She graduated from the Fashion Institute of Technology (FIT) with a degree in Fashion Merchandising Management. She has held various titles in the fashion industry in her 12 years of experience living and working in NYC including Assistant Personal Shopper at Bergdorf Goodman. Her most recent years were spent working in the costume department of many popular TV shows and feature films. Her credits include Pan Am, Royal Pains, Salt, The Other Guys, The Secret Life of Walter Mitty, Teenage Mutant Ninja Turtles and Mr Robot. Gina joined the ECC team starting with the 2016 season. STACY LAMBERT aka MIZEYESIS | Stacy is our current MUSIC DIRECTOR. A turntablist and producer, MizEysis has performed at many festivals such as Beltek, Hydrotechnics, Revolt, Wickerman Burn, and The Winter Music Conference. She has also performed at shows by Konkrete Jungle (NYC), New England Junglists, Elements, Direct Drive, Natural Selection, Two:Tone (Dallas), MPLS (Minneapolis), MIA Kansas City (Missouri) and other prestigious jungle/dnb nights. In 2013, she was invited to play at the world reknown, Rupture for their 7th year Anniversary in London, UK at Corsica Studio alongside an all-star lineup which included Digital, Loxy, Double O, and Chris Inperspective!